Picture A: Bertha look's happy. I thanks it's sunny and warm outside. Picture B: Andy looks scared. I think it's stormy and it's lightenin outside. Picture C: Charles looks tired and sleepy. I think it's cloudy or foggy outside. 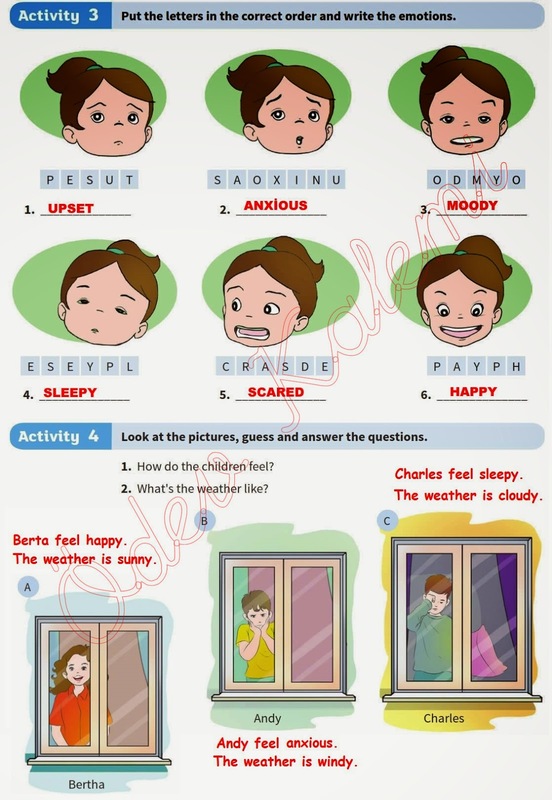 Put the letters in the correct order and write the emotions. Look at the pictures, guess and answer the questions.